Last, but not the least! 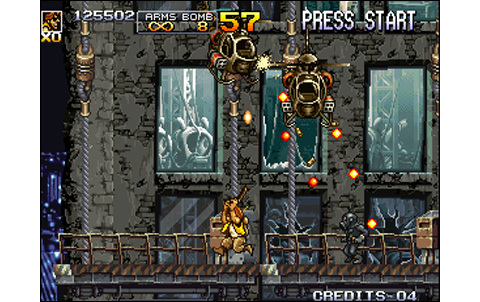 After the rather lukewarm reception given to Metal Slug 4, Playmore came back to work for the episode 5. It must be said that compared to the illustrious predecessors that were X and 3, the album produced by Mega looked a little rotten. 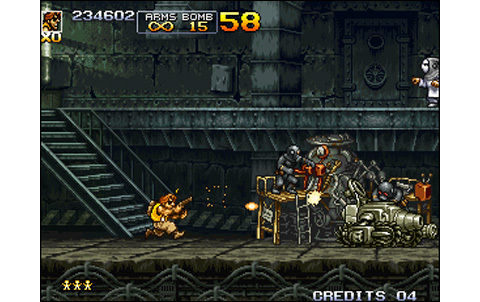 Here, the editor puts the things back in place: 708 megs cartridge , Eri and Tarma returning, new graphics, new musics on the move, new enemies and Bosses... sound good! In addition, a new move appears: the slide. 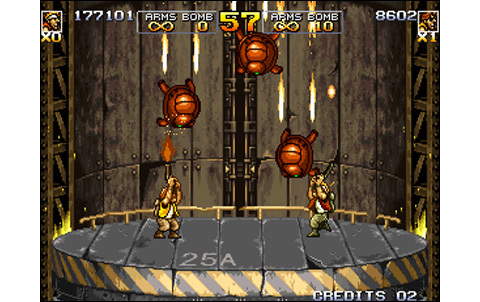 By simultaneously pressing down + jump, our character perform this dodge that allow to slip under enemy fire or get through some obstacles faster. 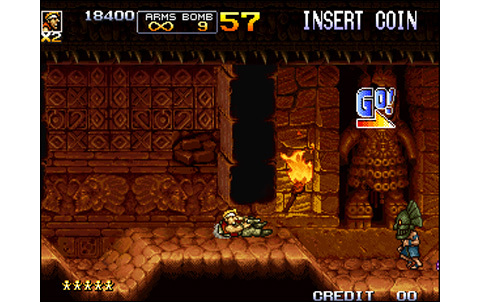 About weapons, farewell "Stone " and " Fire Bomb"... only the basic grenade was retained. As well, the "Flame Shot" simply disappeared. Concerning vehicles, there's also a lot of losses. 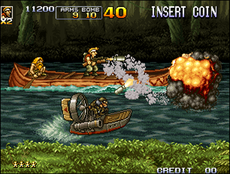 Only the simple tank (Metal Slug), the Slug Mariner and Slug Flyer were kept... but the game still features three new ones (phew!) 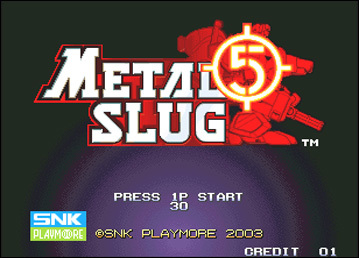 : the small and cute Fiat 500, often seen in previous episodes; the Slug Gunner (a kind of robot with arms and legs), and the impressive Spider Slug (a mechanical spider) . 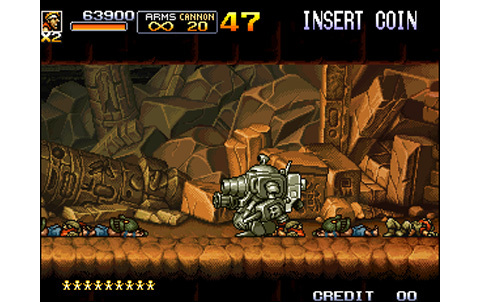 Metal Slug 5 was clearly not made to compete with the majestic third episode, and it's really too bad: Playmore apparently gave up trying to improve the series - or at least do as well as past episodes before the 4 - and this is significant on paper, even before you start playing! 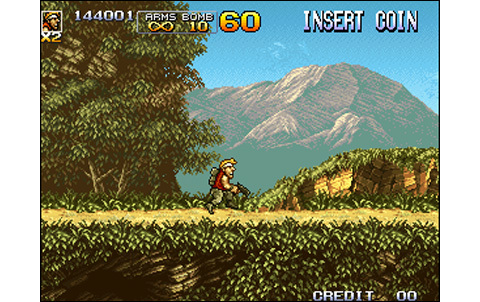 It's made clear by the fact there's a lot less vehicles (six against twelve in MS3), fewer weapons, fewer different paths in the levels, and a shorter lifespan. Aesthetically, it's also inferior: many of the graphic elements come from previous episodes (lazybones...) and new backgrounds are not always great, far from providing the engineering and level of detail we were used to. 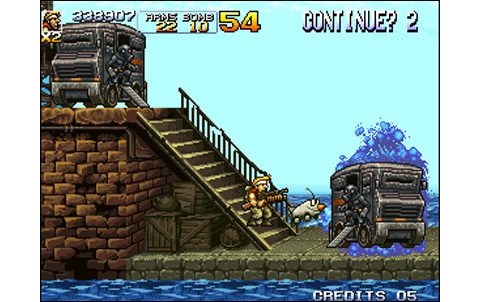 But let's not judge too severely this game: Metal Slug 5 is still much better than the deceiving episode 4, in addition to providing real original stages. The animation is almost flawless: slowdowns are nonexistent when playing alone, few and not too penalizing when playing two. 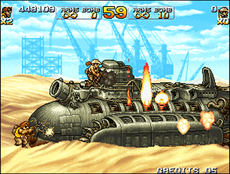 It must be said that the soft lost some weight on the number of sprites displayed simultaneously and the Bosses. 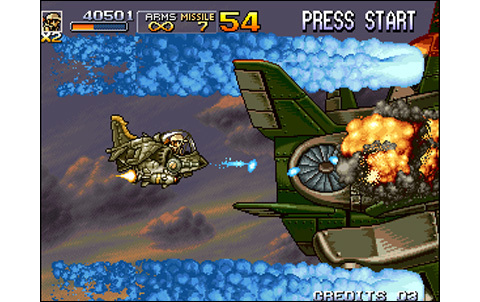 If they're large, they're also not too complexly animated and they don't generate a lot of shots, with the exception of stage two's Boss plane. 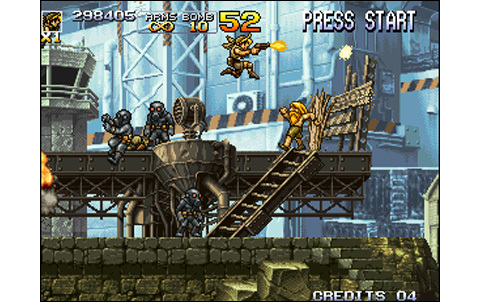 On the other hand, the slide proves very annoying: when you want to jump to fire below, you often find yourself sliding toward enemies for nothing... Moreover, the game didn't really needed this new move that ultimately brings nothing more to the action! The gameplay is even a bit penalized by this, and between it and the passages having a too high difficulty, and all the low blows here and there, MS5 eventually annoy the purist who learned to play with previous episodes. 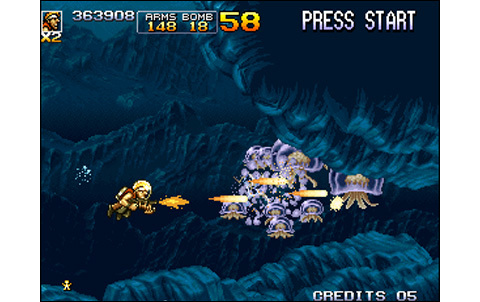 Not to mention the Bosses which are finally not too interesting, not necessarily logical or consistent given the places you came through. 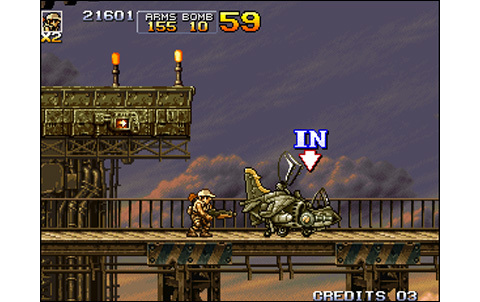 Also, the fighting patterns they use are clearly made to eat credits... 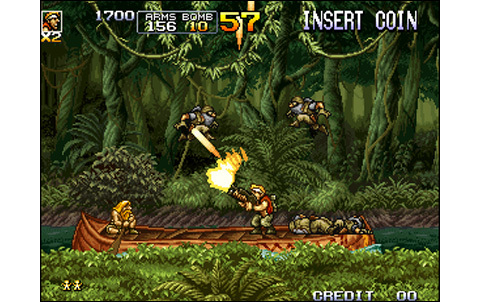 This ultimate Metal Slug on the Neo Geo retains for him to be better than its predecessor : what a performance! 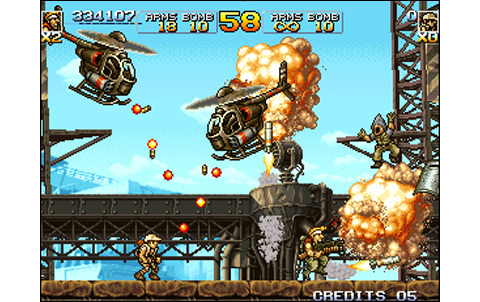 But come on, let's not be too hard with it: the game is still a great Run'n'Gun, fun to play , good looking, and yet taking . 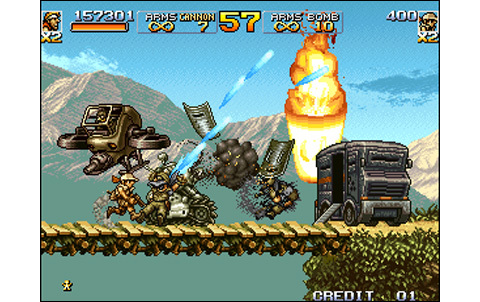 If it seems bland and somewhat unsuccessful, it's only the fault of the past episodes produced by SNK , out of reach for Playmore programmers. It's far from equaling Metal Slug 3, but still way better than episode 4! 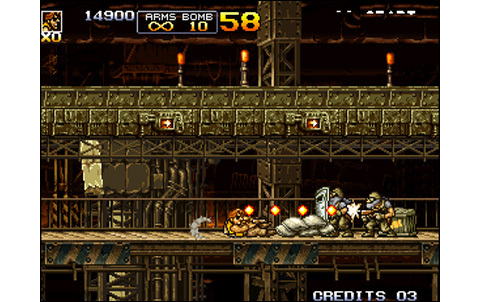 Environments are varied, perspectives well made and the various enemies not too bad. Few slowdowns to report when playing two, absolutely no one for a single player! 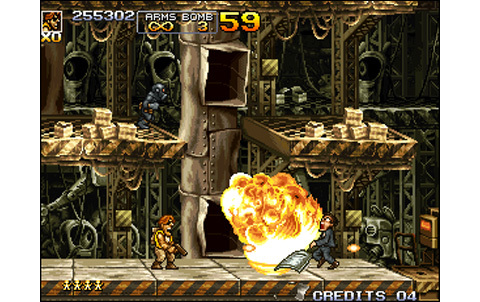 Enemies move smoothly, and the various effects (explosions, flames, etc) are borrowed to previous episodes. The "hard-rock" style can be surprising, but the new melodies are vibrant and catchy! Almost no news on the effects side, but the basic sounds from the MS series are still doing the job! This episode is long, the difficulty artificially high (certain passages are way too hard) and players will certainly come back to it... sparingly. 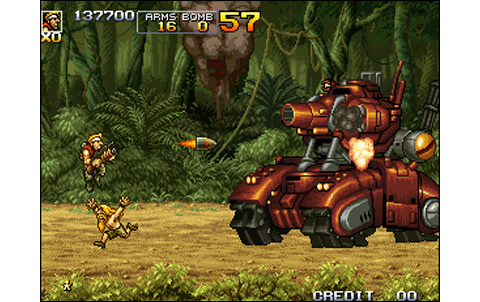 Metal Slug 5 outclasses the 4, but stays inferior to the real SNK episodes. 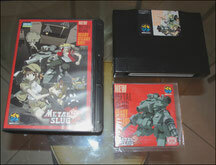 Around 500 euros, this MS5 will not hold the attention of the player wishing to taste a real Metal Slug. There are many other priorities before taking an interest in him, such as getting the X and the 3, which are the best "affordable" episodes.